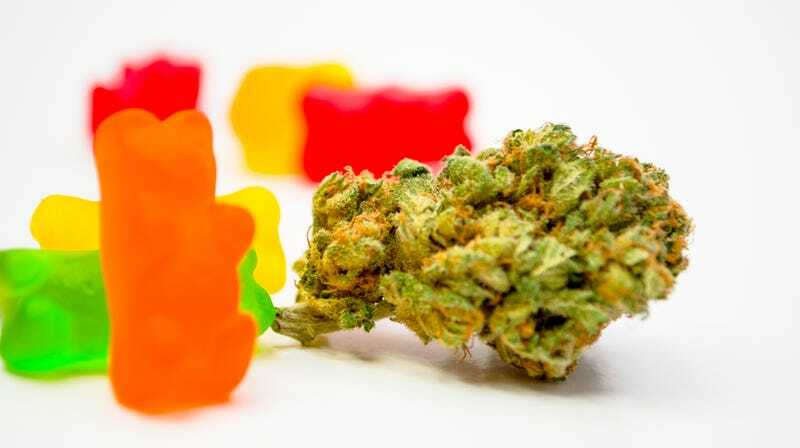 During a regular board meeting, the LACB told cannabis companies “all production of hard candy, tarts, fruit chews, colorful chocolates, jellies and any gummy type products should cease” because they will no longer be approved for sale under new regulations that go into effect January 1, 2019. Stores can sell such products through April 3, 2019 or until existing inventory is depleted. This reverses the board’s prior approval of certain marijuana candies. Under the new rules, infused products like chocolates, baked goods, caramels, and mints would still be legal for sale as long as they meet certain limitations including that they not be sprayed with colors, molded into any form besides bars or balls, and do not contain sprinkles or frosting. Edible marijuana products make up about 9 percent of the overall cannabis market in Washington, according to the state’s Liquor And Cannabis Board. Nationally, a report by Technavio estimates that the market for edible marijuana products will grow at a compounded annual growth rate of more than 25 percent by 2022. No doubt producers of such products are reacting strongly to Washington State’s decision on marijuana candies, hoping it won’t set a precedent. For its part, the LACB says the change is necessary to address concerns that previously approved gummies and candies would “meet the definition of ‘especially appealing to children.’” Of course it behooves any adult purchaser of edible products to keep them away from children and unsuspected people who might not be aware that the candy they’re snacking on contains a psychoactive substance. Just ask this Colorado pilot who was fired when he tested positive for drugs; he says he ate a friend’s candy and had no idea it contained marijuana.